Gaza Arab terrorists fired a rocket at Israel on Sunday evening, the first one since the end of Operation Pillar of Defense in November. 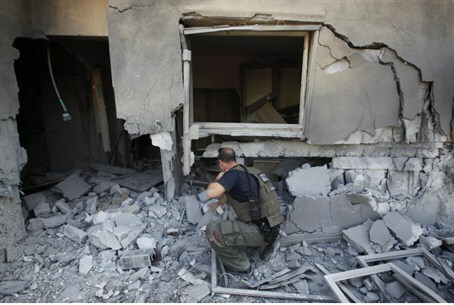 The rocket apparently fell short of Israeli territory and exploded within Gaza. The Red Alert warning system did not sound. The last time Gaza Arab terrorists fired rockets at Israel was on November 21, in the hours after the implementation of a cease-fire between Israel and Hamas. Although technically those rockets were the first violations of the cease-fire, in which Hamas pledged not to fire rockets at Israel in return for Israeli concessions, Israel chose not to complain to the U.S. and Egypt, both of which had agreed to act as guarantors for the cease-fire. According to the deal, violations by either Israel or Hamas are to adjudicated by Egypt, currently under the leadership of Muslim Brother member Mohammed Morsi. Israel did not say Sunday evening whether or not it would file a complaint over the incident. In return for the cease-fire, Israel agreed to allow Gaza fishermen a wider range of operation off the coast of the country, and to stop targeting top Hamas terrorists who had participated in terror attacks that killed Israelis. As a result of the agreement, Hamas top terrorists Khaled Mashaal, who for years has been holed up in Damascus, openly visited Gaza for the first time, where he declared Hamas' continued intention to destroy Israel.